William Joseph Harkes was the son of (Annie Steele) and Frank Harkes. He is buried at Zion 7th Line Cemetery with his wife Alice Pearl Wilson (1928-1982). 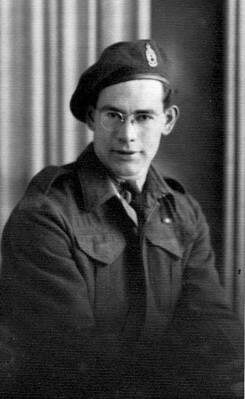 He served from1941 to 1945 as a mechanic in Canada and England and later purchased a farm at Lot 8 Concession 9, East Nissouri Township, Oxford County, Ontario, Canada.